Insolvent Chinese forestry company Sino-Forest Corp said it filed a reorganization plan in an Ontario court that would allow its creditors to acquire its forestry assets. Sino-Forest filed for bankruptcy protection in April after a short-seller accused it of exaggerating the size of its forestry assets, sending its shares plummeting. Canada’s lumber export market is showing signs of awakening from its slumber since crashing in the wake of the 2008 recession. However, volumes and prices aren’t yet close to where they were pre-recession, say industry insiders. Signs also persist that recent gains in the market might not be sustainable. The market is, in a word, “fluid.” Nevertheless, the long-term consensus is that demand will continue to grow in wood-hungry China as well as in other emerging markets like India. Meanwhile, the slump in U.S. housing starts is not expected to last forever. Lumber companies are waiting to see the report a legislative committee will unveil today that could affect the provincial forest industry for years to come. The Special Committee on Timber Supply, an all-parties group struck to study the spinoff effects of the pine beetle epidemic, will release its report at 10 a.m. today. Chaired by Nechako-Lakes MLA John Rustad, the committee of seven has been touring the province since June gathering public input and expert opinions. ewPage Corporation announced recently that it has filed a Joint Chapter 11 Plan with the United States Bankruptcy Court for the District of Delaware. The company also requested an extension of time to file the disclosure statement related to the Plan. 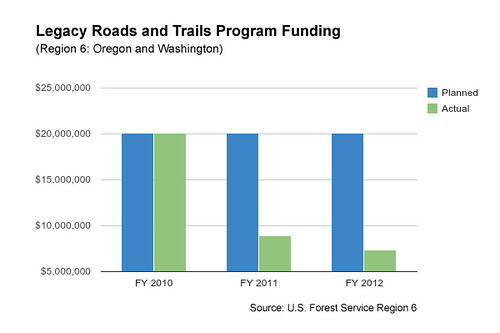 When the recession hit, it hit Idaho’s forest products industry hard. For years, the U.S. housing market had been strong enough that lumber producers had little trouble finding buyers. But by 2009, housing starts stood at a fraction of what they had been just four years earlier. Anxious for sales, lumber producers looked to foreign markets. As StateImpact reported last week, the Japanese market has kept one North Idaho mill up and running. …“There’s defects in lumber that are seen to be acceptable at Lowe’s, Home Depot that you wouldn’t even think about putting it on a boat and sending it to Japan,” explains Steve Spletstoser, quality control manager in Idaho Forest Group’s Laclede mill. Global Sticks’ statement of affairs confirms the company owes more than $15 million dollars — thousands of which are owed to its president. CBC News obtained documents that show how much bankrupt Global Sticks owes and to whom. The creditors’ list includes financial institutions, timber and logging companies, various contractors, supply rental businesses and other services, as well as employees. ArborGen finished its acquisition of a company that supplies pine seedlings, and expects to have initial seedlings available for sale by the 2012-2013 season, the Ridgeville-based company announced today. CellFor, the company ArborGen acquired, is the world’s largest developer of varieties of loblolly pine and has invested more than $140 million during 12 years to develop its technology and products. MORE than 1000 workers in the state’s South-East will lose their jobs unless the State renegotiates a key contract with timber firm Carter Holt Harvey. Issuing the ultimatum to the State Government yesterday, the New Zealand firm said it would close its four operations in Mt Gambier and Nangwarry if a new contract with Forestry SA was not struck. More than 1000 people are believed to be directly employed by the company. Thousands of additional indirect jobs would also be affected. Thanks to a strong dollar and a global surplus of stock, the timber industry in Australia is being swamped with imports from overseas even as demand slumps amid weak conditions in residential construction, a leading economic forecasting firm says. Despite that news, the long-term future for manufacturers looks good as anticipated levels of supply are not expected to keep pace with domestic demand. In its latest report, Sawn Timber in Australia 2012 to 2026, industry research firm BIS Shrapnel says that the volume of timber imports into Australia increased by 30 per cent in the two years to 2011.
he tough market for sawn timber is expected to continue over the next 15 months. Australian producers face increased pressure from imports as a result of the high Australian dollar and a global surplus of timber. This comes at a time when the Australian housing market is rather sluggish and Australian producers have the capacity to supply much of the domestic market. A group fighting to save a forest on Mount Saint-Bruno from development was in court in Longueuil on Tuesday. Liberal Senator Paul Massicotte owns the forest land and wants to develop it, but his plans have met strong opposition. Marilou Alarie heads a group trying to save a forest owned by a senator from being developed into houses. MOOSELAND — If we let them, our forests can produce more than young spruce trees for pulp and paper and two-by-fours. Over the past six months, the province has lost one and a half pulp and paper mills. While it’s been a tragedy for rural communities like Liverpool and Port Hawkesbury, a chorus of small woodlot owners is calling for the province to see this as an opportunity to manage parts of our forests for a return to higher-value hardwood production. “For the first time in 50 years, we have an opportunity to do something different with our forests,” said Wade Prest while walking his Mooseland woodlot in July. John Rustad has chosen Prince George as the site of his first public comments about the report of the Special Committee on Timber Supply. Rustad, MLA for Nechako-Lakes, was chair of the all-parties committee of the Legislature that, since June, has been travelling the province gathering stakeholder input and studying the forestry crisis caused by the mountain pine beetle epidemic. Their report is due to be released Wednesday at 10 a.m. and Rustad will take questions on its content and recommendations at 10:30 a.m. from the northern capital. FORESTRY is used to operating on the long cycles of growing trees. But in the past year, the Nova Scotia industry has had rapid change rip through it like a chainsaw. … The loss of two paper machines has kicked last year’s provincial forestry strategy into the out-of-date basket and created tougher conditions for bringing small woodlots into managed production. The economic impact on sawmills, which trade in logs and chips with pulp operations, is a dark wood, too. Much that once was has been lost. French administrator Nicolas Denys wrote of pursuing moose on horseback through the towering stands of white pine, sugar maple, red spruce and hemlock that dominated Nova Scotia’s forests during the mid-1600s. Late 18th-century harvesters record cutting white pines 38 to 53 metres tall and floating them down Nova Scotia rivers to become masts for England’s navy. There were root systems so extensive that early explorers refer to making camp at “forest wells,” where blown-down trees left small freshwater ponds in the earth vacated by their upturned roots. HELENA- The Black Mountain Fire burning west of Helena is currently between two and three acres, with Kathy Bushnell of the Helena National Forest saying it’s centered about one mile west of Black Mountain. Fire officials determined that the fire was not as active as previously thought at around 5 p.m. Monday, and they have been able to slow it down with water and retardant. A Hotshot crew is on the ground after hiking in about a mile and air attacks on the blaze with Bushnell adding that there are three helicopters and two air tankers, and one Hotshot crew working the fire. CHEYENNE, Wyo. — Increased fire activity in the Western United States has prompted the U.S. Forest Service to call two additional MAFFS-equipped C-130s to resume operations by Aug. 14. Those aircraft will come from the Wyoming Air National Guard’s 153rd Airlift Wing, in Cheyenne, Wyo. “This has been an interesting fire season for us. Our operations have waxed and waned since we were activated June 25,” said Col. Jerry Champlin, 153rd Air Expeditionary Group commander. “Our aircraft are heavily engaged and having two additional MAFFS will definitely help. BOISE, Idaho — For wildland firefighter Anne Veseth in Idaho, the danger came not from out-of-control flames, but from a falling tree on Sunday, ending her life at just 20 years. Exactly what happened is now the subject of a federal investigation. When Veseth died, she and other members of her 20-person crew were trying to extinguish the 43-acre Steep Corner fire near Orofino. They were establishing and reinforcing a fire line on one perimeter of the blaze, U.S. Forest Service spokesman Phil Sammon said. Falling in line with several other counties in the West, Lincoln County commissioners adopted a resolution supporting legislation to enter into an interstate compact agreement with the federal government to cooperatively manage forested lands. The only hesitation at the commission meeting last month was tied to whether citing “periods of extreme drought” as justification might place limits on the arrangement and if supporting New Mexico entering into an interstate compact agreement with the federal government might interfere with legislation being considered in Congress. Sixty years of heavy traffic by logging trucks, along with trips by forest managers and recreation-seekers have taken a toll on roads that run through Northwest forests. Tens of thousands of miles of those roads are crumbling, sending sediment and other pollutants into rivers and streams… A coalition of 18 groups.. lobbied Congress and, in 2008, pried loose about $8 million to start chipping away at the federal forest road maintenance backlog in Washington and Oregon. The federal dollars peaked in 2010, but have been cut by more than half even though the roads continue to deteriorate and pollute the region’s waters. When are some Tasmanians going to face up to the hard reality that a world-scale pulp mill is not good business and never likely to be our economic saviour? We need to move on from the pulp mill and work together for more sustainable wealth creation options for our beautiful island. This week’s announcement by Gunns Ltd that it’s “not probable” that its pulp mill will get finance and the “company has decreased confidence in its ability to influence the mill proceeding” is a significant statement. In fact, it’s the single most important statement made by Gunns in the past 8 years because it means it has failed in all its efforts to bring its pulp mill dream to reality. They are investigating why a copse of cypress trees was the only vegetation to have survived a wildfire that destroyed acres of forest on hills around the Valencian town of Andilla last month. Aerial images show the devastation of about 50,000 acres except for a vibrant patch of green where a group of around 1,000 cypress trees stand tall. Despite the fact that the trees were planted close together, their branches intertwined, the flames did not advance through them, and only 12 trees out of 958 showed signs of fire damage, while all around the native tree species such as pine, holm oak, juniper and gorse, were destroyed. It’s been a decades-long habit of 85-year-old Bao Shouguo to grab a stick and a knife and head for the hills every morning. As a forest ranger since 1995, the villager in rural Guiyang, capital of Guizhou province, walks an average of about 20 km, alone, in the forest each day, all year round. “I have watched the trees grow from saplings. They are like my children,” explains Bao, who walks with a firm step and talks energetically despite his age. 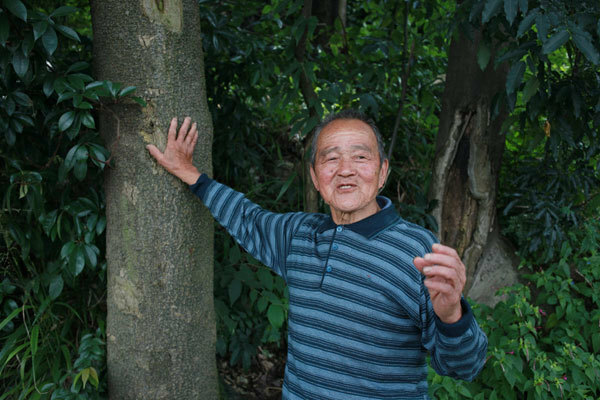 Bao has a special affection for the trees he guards because they represent the painstaking work he and his fellow villagers made decades ago. Marathon talks to end Tasmania’s forest wars are approaching final agreement after recovering from near collapse. An interim deal released today overcomes long-standing obstacles between industry and green groups, setting up for future conflict resolution, and backing strict timber certification system. The two sides are yet to settle the major sticking point – how much native forest to log or protect – but say they are confident of final agreement. …Environment Tasmania negotiator Phill Pullinger said negotiations had been very intense over the past week but all around the table were committed to achieving a solution. The State Government will today release a new 10-year draft forest management plan, setting the stage for the most significant clash between conservationists and the timber industry since the ban on old-growth logging in 2001. Under one scenario put forward by the Conservation Commission in the plan, logging of prime jarrah in the South West would be cut by a quarter. A non-scientist has won a major forestry research award for his key role in developing a new harvesting machine designed to be safer and more productive on steep slopes. Kerry Hill, Managing Director of Trinder Engineering Ltd, of Nelson, is one of five winners of the second annual Future Forests Research Awards, presented at a function in Rotorua on Tuesday 14 August. Tasmanian forest peace deal negotiators have again failed to reach a final agreement, but say they are making significant progress. Environment and forest industry groups say they need another four to six weeks to decide how much of Tasmania’s forests to protect from logging. They say they have a loose agreement on how much forest to protect from logging, which will be modelled by Forestry Tasmania to determine the wood supply available under the potential deal. TWO protesters have been cut from logging machinery in the Toolangi State Forest, northeast of Melbourne. The 40-year-old man and 52-year-old woman chained themselves to the machinery about 5.45am. Police cut the chains at 11.30am. The pair had been protesting against tree felling on Mt St Leonard. The incident came after five masked people allegedly stormed the felling site about 5.30am. Thailand – More forestry and national park officials will be dispatched to Thailand’s southern province of Nakhon Si Thammarat to fight forest fires that have damaged large areas and have showed signs of getting worse, a Thai official said. Thanakorn Raktham, chief of the forest fire station in Pak Panang District of Nakhon Si Thammarat province, said the fires have ravaged peat swamps in three national parks and severely affected residents in five nearby districts. according to California’s cap-and-trade regulations. Our community owes a vote of thanks to Karen Orr and other activists who continue to raise important questions about Gainesville’s energy future, particularly the proposed 100 MW GRU power plant. Karen has now provided access to an important document that few would have known about by a committee of the German National Academy of Sciences, Leopoldina: Bioenergy: Chances and Limits. The report reinforces the widespread concerns about biomass utilization at our local scale. The German NAS report thoroughly documents why biomass has a limited role in meeting future energy needs in Germany.